Welcome to Custom Millwork, Inc. Custom Millwork Inc. has been serving award winning regional and national builders for over 35 years. Our experienced employees are dedicated to providing superior customer service and quality products. Custom Millwork's success depends upon our customer's total satisfaction. Custom Millwork Inc. sales representatives and sales support personnel specialize in serving the regional custom home builder, national single/multi home builder, and multi family commercial contractor with three separate sales divisions, your Custom Millwork sales representative is a specialist to meet your building needs. We are also a leading supplier of architectural doors, millwork, hardware and hollow metal to assisted living and multi-family builders. Visit our 3000 square foot product showroom and see for yourself why. 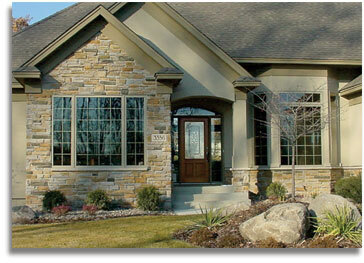 "The professional builder and Custom Millwork, Inc. are a quality combination you can build on.